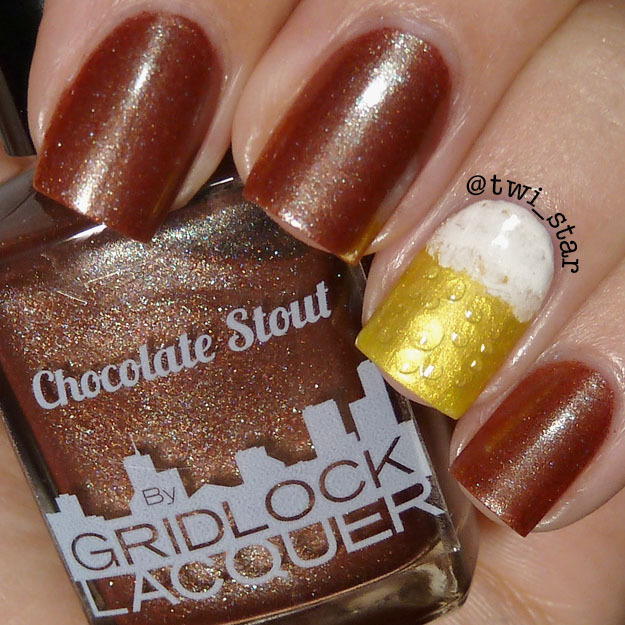 Today I have another delicious looking color lol from the Beer & Wine Collection by Gridlock Lacquer, Chocolate Stout. 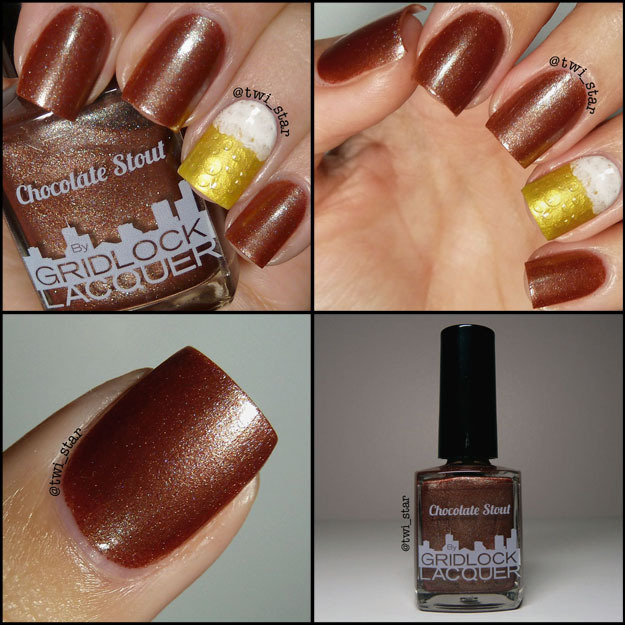 This polish is a great chocolatey brown shimmer. This is 2 coats of Chocolate Stout, it has a great smooth formula and covers nicely. Doesn’t it have a warm chocolate feel? 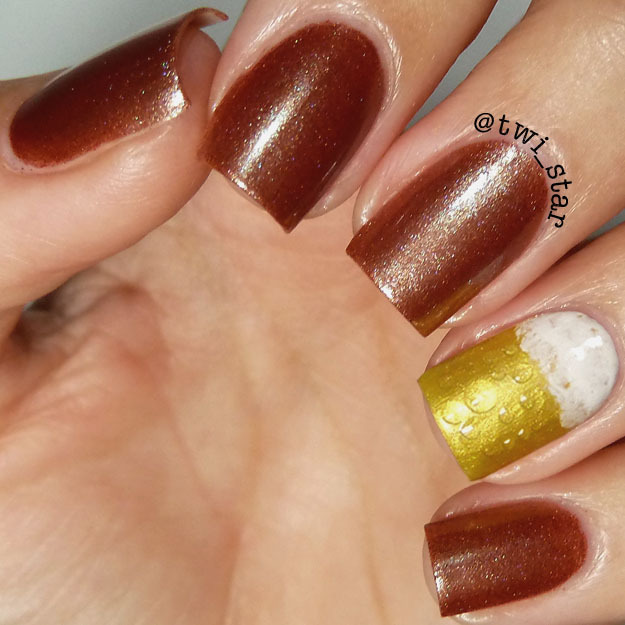 For my accent nail I used Julep Nessa for the golden beer color and Julep Bunny for the foam. I applied matte top coat and then drops of shiny topcoat to make it look like the glass was sweating. It showed up better in person. This is a great neutral for Fall, while wearing I had the urge to spend all day in a dark pub and drown myself in delicious dark beers haha! Thanks for stopping by!